My desktop guy Frank the Tank is out of town this week, so I am holding down the fort taking care of any desktop issues that come up. One of the issues that came up yesterday was that my CTO's Outlook wasn't displaying his calendar correctly when he would open up a meeting invite. 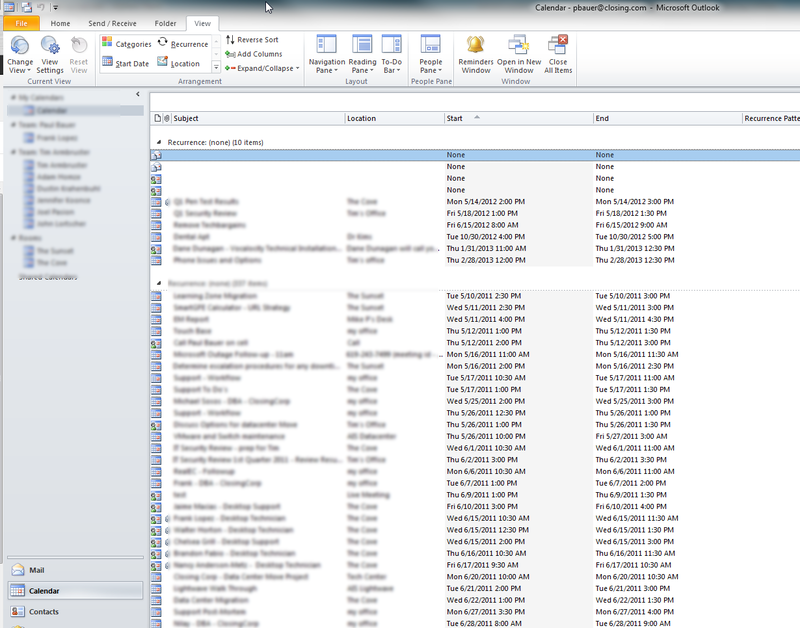 He was running Outlook 2007, but I was able to recreate it in both Outlook 2007 and 2010 so I can show you how to fix it. In Outlook 2010 the view is called "List view" in Outlook 2007 it is called "All appointments".